St Cyprian's, is a modern brick built church completed in 1935 in response to the increasing eastward spread of the population of the City of Nottingham. 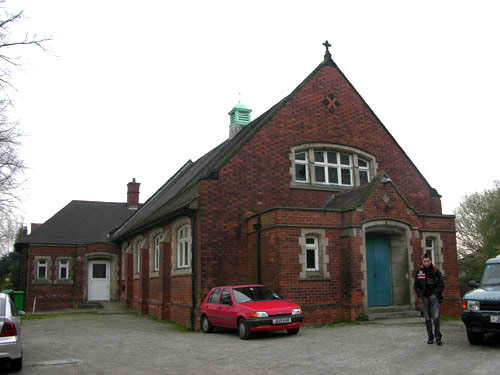 A much smaller building, now in use as the church hall, was erected on the site in 1913, as the original centre for worship. At this time St Cyprian's was not a parish, but a church district. It did however have a full-time vicar living in the vicarage, also built in 1913, and now one of the oldest residences in the area. The first Incumbent was Rev. V.T. Macy. For the new church, a modern gothic design seating 400 was chosen, designed by a local architect Mr. C.E. Howitt of John Howitt & Sons. The estimated cost was £8500, most of which was provided by the diocesan authority from the sale of the site of the former St. Paul's Church on George Street in the City centre. After evensong on Sunday, 13th May 1934 the Rev. Mr Killer cut the first turf for the building work to start the next day. 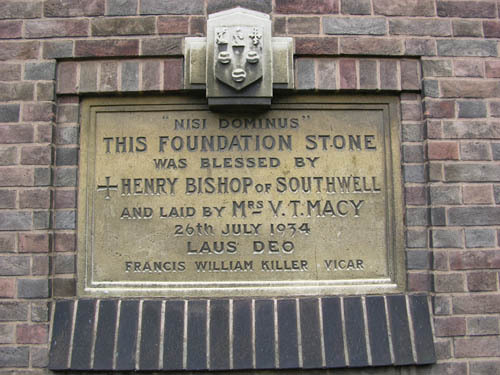 By Thursday 10th July the foundations and brickwork to floor level, plus the sub-floor had been completed, and Fr and Mrs Macy returned to lay the foundation stone in the presence of the Bishop of Southwell. Rev. Killer wrote a special hymn for the occasion and an appeal was made for £1000 to complete the building. 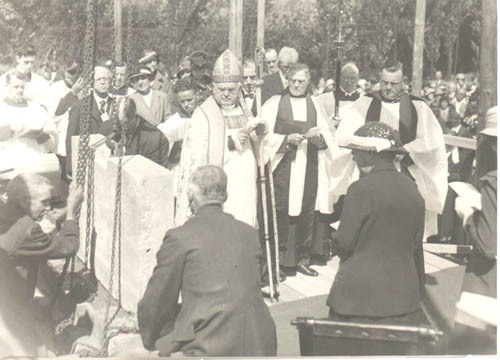 The new church was finally consecrated on 15th May 1935 by the Bishop of Southwell.